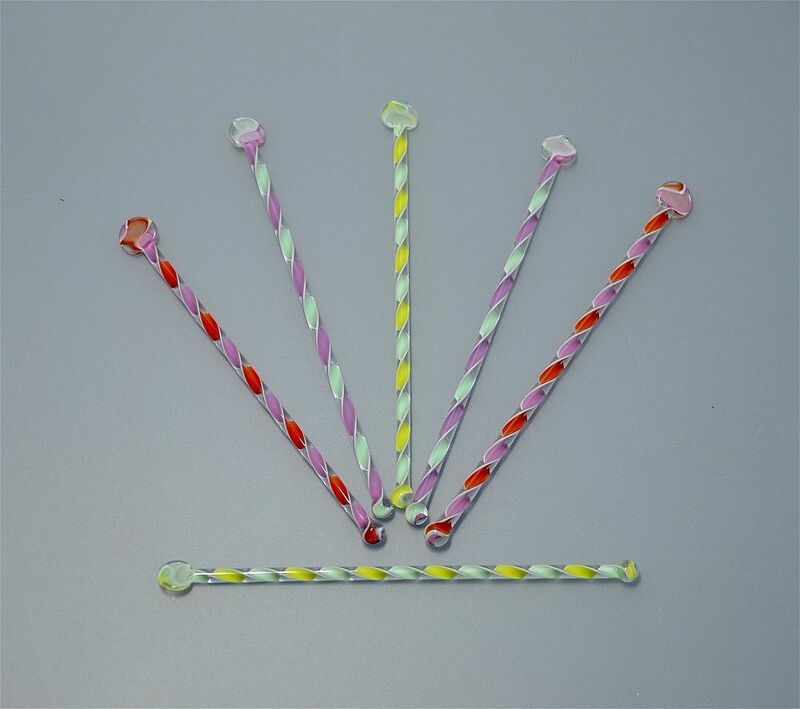 This is a harlequin set of 6 corkscrew cane swizzle sticks/ cocktail stirrers made by Mike Hunter for Twists Glass in 2015. Two sticks have corkscrew canes of pale green & pale purple, two of pale lime green & pale blue and two of pale purple & pink. They have a slightly bulbous finial at one end and a paddle shaped finial at the other. The height & thickness of each stick may vary slightly in each set. Great fun and a must have for your cocktail hour!